I once wrote a blog post about some fave makeup items and mentioned budget-friendly brand essence as one of my go-to brands. However today my post is more particular and is a bad review I guess you could say. Sometimes, even good brands get it wrong. So here are two items I suggest you leave out of your shopping cart and what to replace them with. 1 - the get BIG! 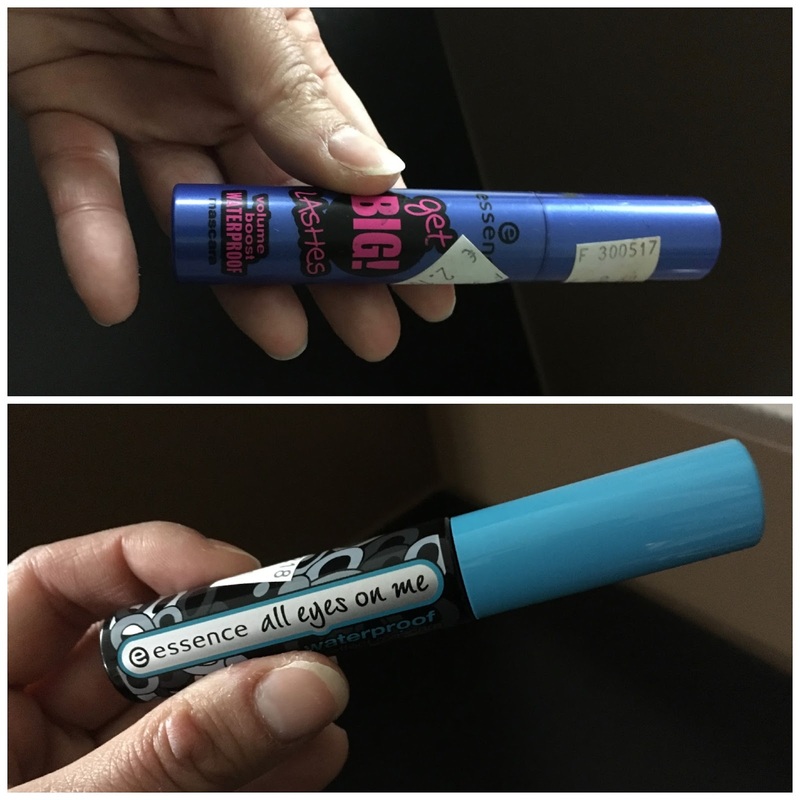 LASHES volume-boost waterproof mascara by essence. When my 'normal' waterproof mascara finished, also from essence, I decided to go bolder and try this one. Bigger lashes? More like clumpy ones and ruined my own lovely long ones in the process!! My solution: back to basics, bought my trusty essence 'all eyes on me' waterproof version once again. 2 - heart-shaped essence lipstick. It was a special edition, a truly delectable colour and suited me so so well, especially as it is in a violet tint that matches a lot of summer clothes I love as well as looks good on me, unlike some other hues. 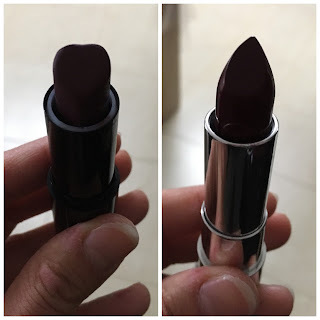 So truly, there was nothing wrong with this lipstick except for one very important detail... heart-shaped might look cute but truly, it is a nightmare to paint my lips the right shape with it! My solution: In the end I gave up, stopped using it and now bought the closest colour I could to it in a not-special-edition with 'normal' tip-shape. Reviewing '36 Questions that changed my mind about You. They say love comes along when you least expect it to and it may well be true. However just like there have been experiments about a zillion other emotions and conditions, there have been studies conducted about love too and it seems that given the right scenario, any two people are more likely to fall in love when they answer the '36 Questions'. Vicki Grant used these experimental questions as the basis for her novel and has us wondering up to the last, will they cause her subjects to truly fall in love? 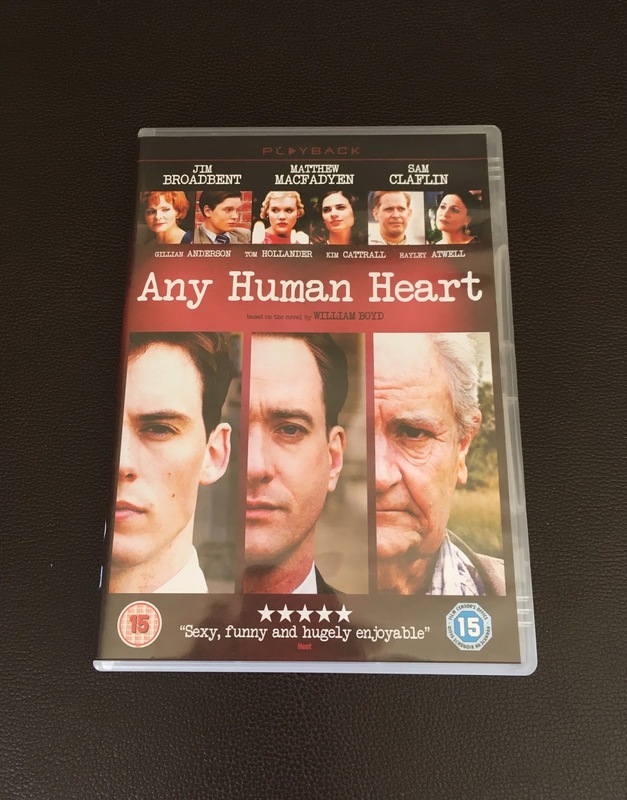 based on William Boyd's novel Any Human Heart, although the title is apparently taken from a quote by Henry James. I have searched high and low for a second hand copy of the film tie-in edition of the book and have only just this week been lucky in my search. Therefore whilst I have watched the series three times, I am still to read the novel. It received mixed reviews but that never bothers me because any artistic rather than mainstream writing will get that reaction. Rather, I look forward to reading what has been described as an erratic narrative, in keeping with the idea that the story is seen not only through the eyes of the protagonist Logan Mountstuart as he goes about his life, but also in journal format so that the present is always that which matters, sometimes totally disjointed from the past and with a changing agenda. Unlike a memoir, a journal also allows the narrator to focus on the now without knowing the future yet, whilst the memoir would be reminiscing and comparing and contrasting or looking at things with a view to what will come next. As always, I tried to do some research prior to writing this piece and it was interesting what info came up in my search. It seems like the writer Boyd and myself have one fascination in common, both of us being intrigued and enamoured of the idea of the life of any human and how it can be explored in writing. Boyd uses the journal style to give the writing the immediacy of present happenings, therefore bringing us closer to the protagonist. The well-known phrase 'we are all human' implies that we all make mistakes. Humans are flawed by nature. Maybe the real appeal of this series is that we get to see Logan blunder through life from the safety of our own seat. We are privy to his disasters and achievements, lust and love and sadness, without being affected ourselves by the multiple decisions he takes along the way. SPOILER ALERT FOR THIS PARA! The plot, if you can so name it, spans the lifetime of a person whose legacy, ironically, is only sealed after his death. He is a writer, one that toyed with writer's block more than actually wrote books it seems, and yet at the end of it his life proved to be his biggest masterpiece. However even as I state that the series is about a man's life first and foremost, I can't but comment that Logan's life was full of 'love' if we could call it that. There seems to be a recurring theme in films and books that once yo've found your one true love, no one else will ever come close and this mirrors reality in my opinion. SPOILER ALERT THIS PARA! So Logan loses his virginity to his best friend's girlfriend then beds Land, marries Lottie before finding his one true love in Freya and eventually must deal with the tragic end to his very dear marriage to this second wife. He goes into a disastrous third marriage with a cold American woman, one that is short-lived in part due to the ongoing effects on his mind from losing his treasured Freya and their daughter Stella whilst he was a prisoner of war. It is at this point he lets go of looking for love and instead turns to Monday and eventually Gloria for something that is passionate and glorious in its irresponsability and finds peace in not looking for a replacement but embracing instead the fact that he'd lived his one big love story already. I am sure that once I read the book I will find that there are variations in the film series to the original text. Having viewed before reading this extraordinary tale, I am free to give my opinion on the script and screen interpretation without being hindered by the comparisons and contrasts that will surely cloud my opinion once I have also read Boyd's novel. 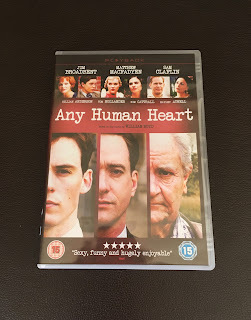 Therefore I will allow myself to say that, as a stand-alone series not reliant on any previous written version, Any Human Heart strikes me as a well-thought-out and gripping tale that any fan of artsy films will surely enjoy, especially those of us who love to examine the average human life. On days such as this many articles and comments appear all over the internet about the deceased. Some are intelligent observations, others merely thoughts that people post because after all, media is about freedom of speech. I will personally not be writing a eulogy as I don't believe in writing about people, things or situations I am not familiar enough with. However I am very familiar with the film The Theory of Everything (2014) that strives to present the story of the man and the genius and spans decades of the scientist's life. Based on Jane Hawking's Travelling to Infinity, it deals not only with the professional achievements but also the personal life of Professor Hawking. About this film I have written two articles so here are the links to a) a review about the film and b) a clarification of deviations from the original facts to the ones in the film. So February has ended and with it my experiment for a cash-only month. I have to admit I cheated a little bit but learnt a lot too. I did manage to keep myself from buying anything online and therefore with a credit card. Except for one little thing. My son asks for many things and I often refuse to give him what he wants unless it is an actual need. However as a treat for respecting my decision to say no to most of his requests, I finally allowed him one purchase I knew would mean a lot to him. It was close enough to the end of the moth that the item arrived in March and so in a way I did stick to the no credit-card February as I actually paid it in March. Add to that, I do keep a small budget for treats so as such I did not go out of line of the budget. Meanwhile, I did say last time that I intended to avoid using even a debit card at cash points for the month of February, excluding for biggish purchases. Well I stepped into a JB Stores to get thick coat hangers and voila' I was out of there with a bagful of stuff. Meaningful stuff mind you, that I would definitely be using in my new home, and yet stuff that I didn't have enough cash in my purse to pay for and so out came the debit card. As you might remember, I had said that I never carry much cash on my person and so it is only obvious that I do use my debit card here and there but still my purchases were not budgeted for in this case. Other than for these two 'mishaps' if they may so be called, I have to proudly advise I used cash extensively through the month. Yet I don't think I can really report having bettered my savings in so doing. If anything, it is more of a headache to need to keep cash on hand at all times as I am not often aware from the morning as to when I am actually going to stop for groceries or need to buy a lunch or even when I will need a trip to the pharmacy. On the other hand, I did find it easier to not have to continually update my spreadsheet with money taken through using the debit card and needing to keep track of the bank's updates since they don't post such transactions on the same day they are made, therefore leaving me with a bigger balance showing than the one on my spreadsheet and unable to reconcile properly. Now that we started March, I have decided to pay cash whenever I can in order to avoid this problem with the bank balance updates and yet won't be going out of my way to pay cash at all times.